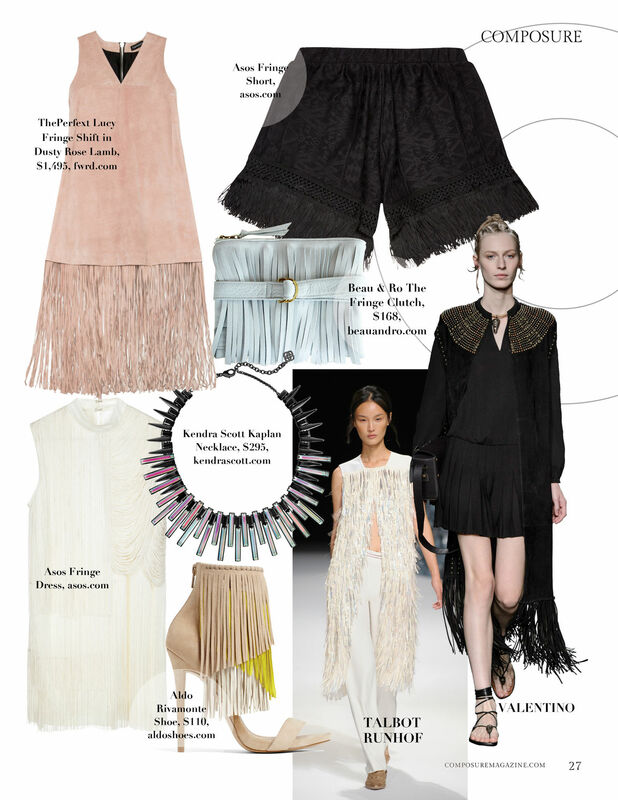 Forget everything you know about fringe — forget its Western roots, forget its co-opting by Coachella boho babes. 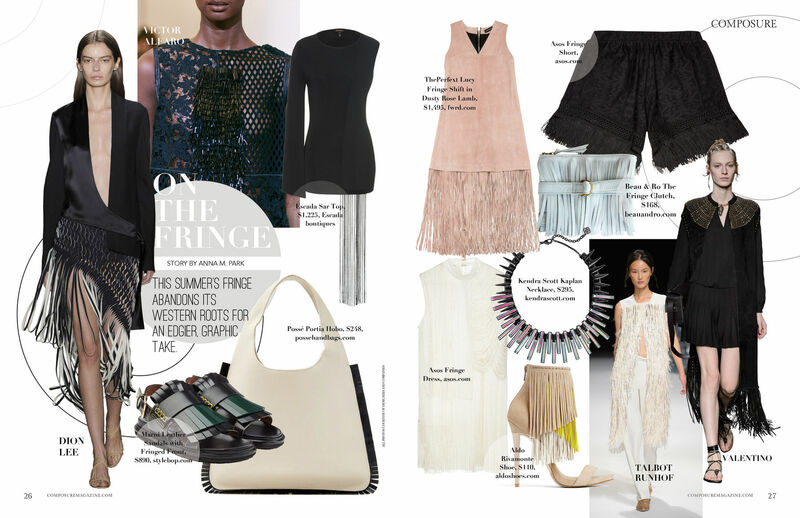 Fringe down the spring runways was graphic, edgy and wholly badass. Read on to see the full story. Originally published in Composure Magazine, layout by Min A. Lee.